The Indian Institute of Technology, Mandi, became the first institute in India to host a ‘Winter School on Cognitive Modeling’. 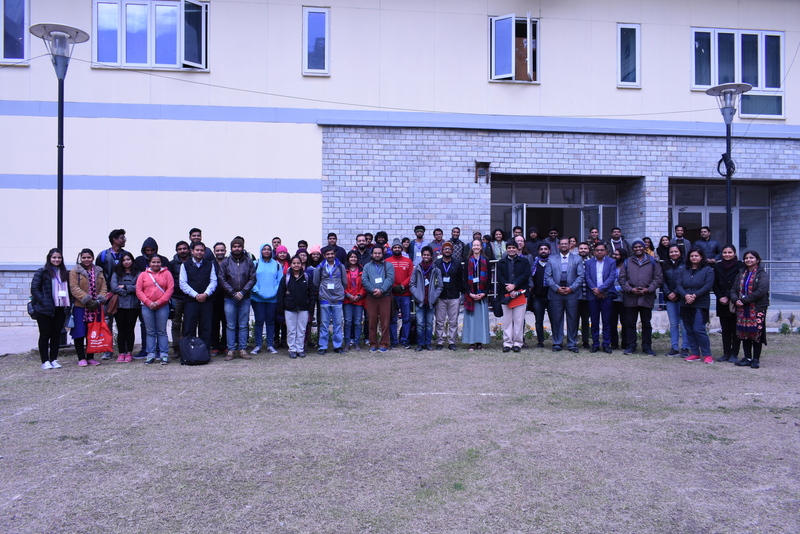 IIT Mandi invited national and international researchers and professionals to train students on the best practices in the area of cognitive modelling, from 4-10 February. Delivering the Welcome Address, Prof Timothy A Gonsalves, Director, IIT Mandi, said, “The AI and Cognitive Modeling fields will see rapid growth in a world where computing technology is growing exponentially due to Moore’s Law.” Prof. Gonsalves mentioned low-cost landslide monitoring technology and the FarmerZone project as two of several examples of how IIT Mandi is leading AI initiatives for the benefit of the Himachal and Indian society. Speaking about the impact of Winter School 2019, Prof. Varun Dutt, Assistant Professor, School of Computing and Electrical Engineering, IIT Mandi, said, “the School provided participants from diverse backgrounds an exposure to different models and tools including instance-based learning theory and ACT-R, which could be used to model people’s decisions in a wide variety of basic and applied domains.” Dr Dutt also emphasised the use of tools like PyIBL to model people’s thinking and decision-making in different real-world problems involving complex dynamics, time-delays, and uncertainties. The Winter School featured a number of national and international speakers. Speakers included Dr Cleotilde Gonzalez from Carnegie Mellon University, Dr Marieke Van Vugt from the University of Groningen, Dr Terrence C Stewart from University of Waterloo, Dr Neha Sharma from Indian Institute of Information Technology, Una, India and Dr Partha Pratim Roy from Indian Institute of Technology, Roorkee. Sanjay Das, VP, Hospimedica International, conducted a demonstration session about different state-of-the-art EEG equipment. Dr Marieke van Vugt discussed how accumulator models allow us to draw important insights about an individual’s decision-making strategy (such as whether the individual tends to be slow-and-accurate or fast-and-often-wrong) out of data from simple cognitive tasks. She also gave insight into how cognitive models can be applied to understand how depression works, and what the effects are of meditation on mind and brain. Furthermore, Dr. Terrence Stewart emphasized the use of tools like Nengo, which could be used to define different neuron types, learning rules, optimisation methods, and reusable subnetworks to build large-scale brain models. He also mentioned how interdisciplinary researchers from diverse fields could come together to answers questions about human cognition and brain. 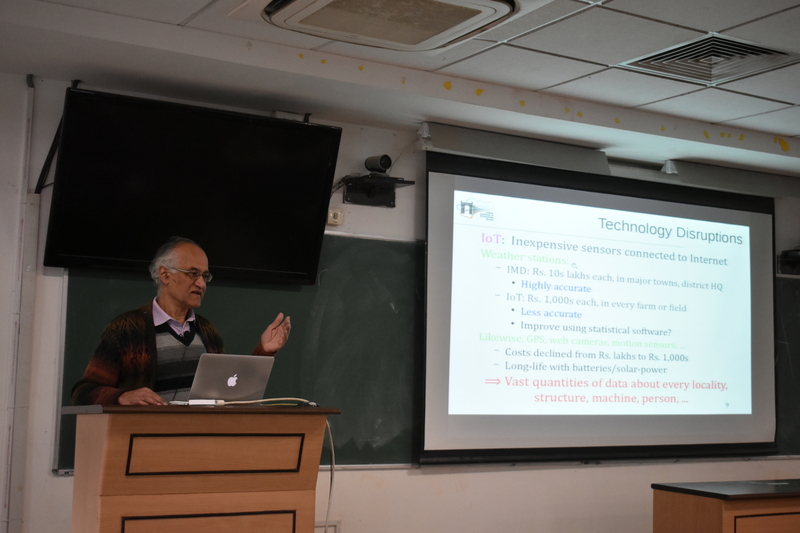 Setting the context for the next edition of the Winter School to be hosted at IIT Mandi in 2020, the Winter School 2019 concluded on a promising note to build a community of next-generation researchers in the field of Cognitive Modeling, encompassing sessions conducted by global experts, who are also the very creators of these cognitive models.